The moment her finger touched the Mark, Harry’s scar burned savagely, the starry room vanished from sight, and he was standing upon an outcrop of rock beneath a cliff, and the sea was washing around him and there was triumph in his heart — They have the boy. A loud bang brought Harry back to where he stood: Disoriented, he raised his wand, but the witch before him was already falling forward; she hit the ground so hard that the glass in the bookcases tinkled. And sure enough, the ceiling had begun to tremble. Scurrying, echoing footsteps were growing louder from behind the door leading to the dormitories: Luna’s spell had woken Ravenclaws sleeping above. Luna’s feet appeared out of nowhere; he hurried to her side and she let the Cloak fall back over them as the door opened and a stream of Ravenclaws, all in their nightclothes, flooded into the common room. There were gasps and cries of surprise as they saw Alecto lying there unconscious. Slowly they shuffled in around her, a savage beast that might wake at any moment and attack them. Then one brave little first-year darted up to her and prodded her backside with his big toe. “I think she might be dead！” he shouted with delight. Harry closed his eyes, and as his scar throbbed he chose to sink again into Voldemort’s mind. . . . He was moving along the tunnel into the first cave. . . . He had chosen to make sure of the locket before coming . . . but that would not take him long. . . . The Ravenclaws were whispering amongst themselves, terrified. Then, without warning, there came a series of loud bangs, as though somebody was firing a gun into the door. SEVERUS SNAPE bellowed, shaking the door for all he was worth, but still it did not open. The Ravenclaws were all backing away, and some of the most frightened began scampering back up the staircase to their beds. Then, just as Harry was wondering whether he ought not to blast open the door and Stun Amycus before the Death Eater could do anything else, a second, most familiar voice rang out beyond the door. “Into nonbeing, which is to say, everything,” replied Professor McGonagall. “Nicely phrased,” replied the eagle door knocker, and the door swung open. The few Ravenclaws who had remained behind sprinted for the stairs as Amycus burst over the threshold, brandishing his wand. Hunched like his sister, he had a pallid, doughy face and tiny eyes, which fell at once on Alecto, sprawled motionless on the floor. He let out a yell of fury and fear. Beneath the disbelief and anger, Harry heard a little strain of pride in her voice, and affection for Minerva McGonagall gushed up inside him. 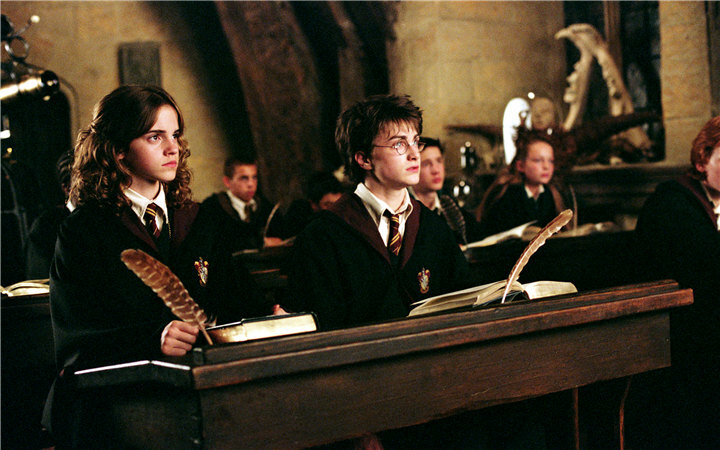 Professor McGonagall stood up and her beady eyes swept the room. Twice they passed right over the place where Harry and Luna stood. Amycus moved forward until he was offensively close to Professor McGonagall, his face within inches of hers. She refused to back away, but looked down at him as if he were something disgusting she had found stuck to a lavatory seat. And he spat in her face. The Death Eater was lifted off his feet. He writhed through the air like a drowning man, thrashing and howling in pain, and then, with a crunch and a shattering of glass, he smashed into the front of a bookcase and crumpled, insensible, to the floor. “He spat at you,” said Harry. “Oh, are we allowed to say the name now？” asked Luna with an air of interest, pulling off the Invisibility Cloak. This appearance of a second outlaw seemed to overwhelm Professor McGonagall, who staggered backward and fell into a nearby chair, clutching at the neck of her old tartan dressing gown. In a distant part of Harry’s brain, that part connected to the angry, burning scar, he could see Voldemort sailing fast over the dark lake in the ghostly green boat. . . . He had nearly reached the island where the stone basin stood. . . .
Amycus got up, walked over to his sister, picked up her wand, then shuffled obediently to Professor McGonagall and handed it over along with his own. Then he lay down on the floor beside Alecto. Professor McGonagall waved her wand again, and a length of shimmering silver rope appeared out of thin air and snaked around the Carrows, binding them tightly together. 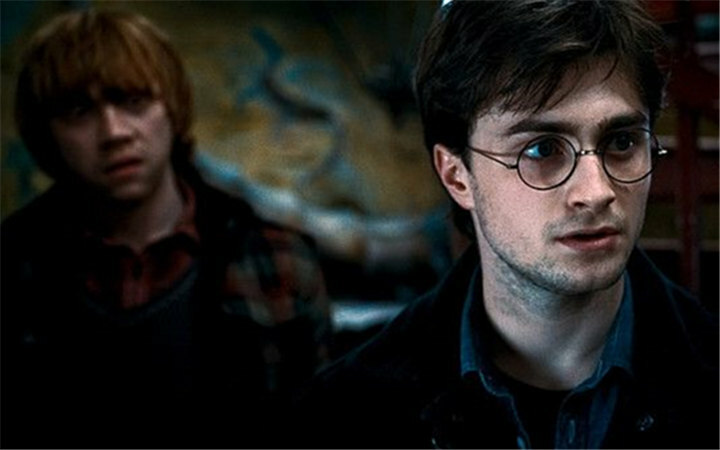 “Potter, are you all right？” said a voice, and Harry came back: He was clutching Luna’s shoulder to steady himself. 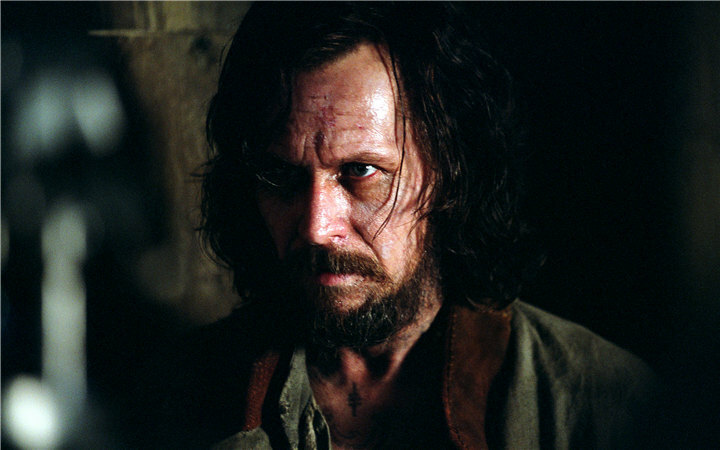 “Time’s running out, Voldemort’s getting nearer. Professor, I’m acting on Dumbledore’s orders, I must find what he wanted me to find！ But we’ve got to get the students out while I’m searching the castle — it’s me Voldemort wants, but he won’t care about killing a few more or less, not now —” not now he knows I’m attacking Horcruxes, Harry finished the sentence in his head. “You’re acting on Dumbledore’s orders？” she repeated with a look of dawning wonder. Then she drew herself up to her fullest height. “There’s a way,” said Harry quickly, and he explained about the passageway leading into the Hog’s Head. She marched toward the door, and as she did so she raised her wand. From the tip burst three silver cats with spectacle markings around their eyes. The Patronuses ran sleekly ahead, filling the spiral staircase with silvery light, as Professor McGonagall, Harry, and Luna hurried back down. Along the corridors they raced, and one by one the Patronuses left them; Professor McGonagall’s tartan dressing gown rustled over the floor, and Harry and Luna jogged behind her under the Cloak. “It is I,” said a low voice. From behind a suit of armor stepped Severus Snape. Hatred boiled up in Harry at the sight of him: He had forgotten the details of Snape’s appearance in the magnitude of his crimes, forgotten how his greasy black hair hung in curtains around his thin face, how his black eyes had a dead, cold look. He was not wearing nightclothes, but was dressed in his usual black cloak, and he too was holding his wand ready for a fight. “Where are the Carrows？” he asked quietly. “Wherever you told them to be, I expect, Severus,” said Professor McGonagall. Snape stepped nearer, and his eyes flitted over Professor McGonagall into the air around her, as if he knew that Harry was there. 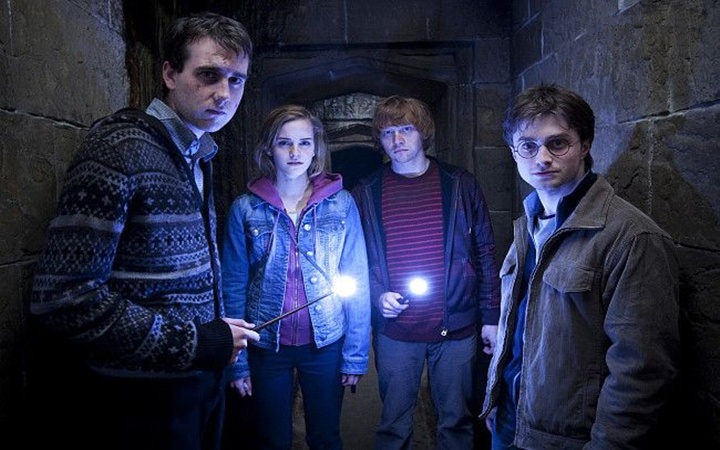 Harry held his wand up too, ready to attack. Snape made a slight flexing movement of his left arm, where the Dark Mark was branded into his skin. Snape pretended not to have heard her. His eyes were still probing the air all about her, and he was moving gradually closer, with an air of hardly noticing what he was doing. 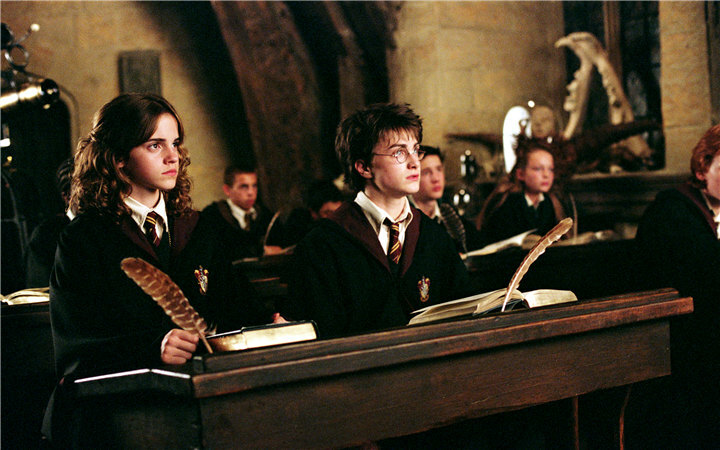 “I thought I heard a disturbance,” said Professor McGonagall. Snape looked into her eyes. SEVERUS SNAPE clothes, with the enormous Professor Slughorn panting along at the rear. “What’s happened, what’s happened？” asked Luna. Harry dragged her to her feet and they raced along the corridor, trailing the Invisibility Cloak behind them, into the deserted classroom where Professors McGonagall, Flitwick, and Sprout were standing at a smashed window. 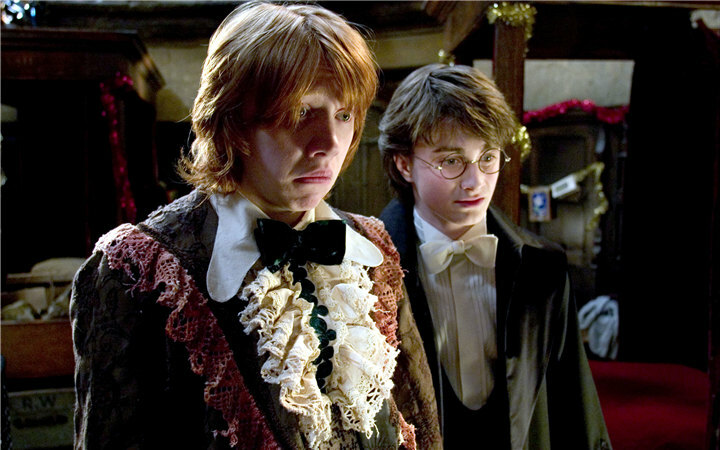 “He jumped,” said Professor McGonagall as Harry and Luna ran into the room. “You mean he’s dead？” Harry sprinted to the window, ignoring Flitwick’s and Sprout’s yells of shock at his sudden appearance. With a tingle of horror, Harry saw in the distance a huge, batlike shape flying through the darkness toward the perimeter wall. There were heavy footfalls behind them, and a great deal of puffing: Slughorn had just caught up. “Our headmaster is taking a short break,” said Professor McGonagall, pointing at the Snape-shaped hole in the window.